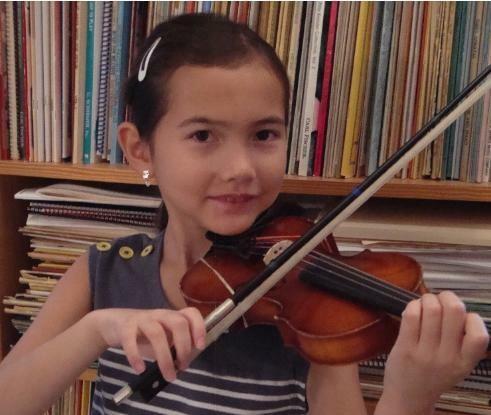 Comfort and balance are goals for violinists and violists of every age. Frisch and Denig Chinrests has expanded to include chinrests that meet the needs of even the youngest of players! The chinrests in this new line help teachers aid students on instruments ranging from 1/16 to 4/4 size. When creating the set up for a student, teachers are often very challenged as they try to help students find comfort and balance. Poor chinrest fit and poor body alignment are often the cause of discomfort and lack of good playing posture. Teachers will find that a good fitting chinrest aids their attempts at establishing a comfortable set up and balanced posture/alignment. After birth, the jawbone will change in size, but not shape. At 5 years old, a child can have nearly 80% of their adult head and jaw size. Chinrests that fit a young child's jawshape are imperative from the start and eliminate years of posture problems. A Frisch and Denig Fractional Chinrest is a dynamic change! These new styles and sizes can benefit a student for many years, even as they change instrument sizes. Similar to the full sized chinrests, a shim can be added under a fractional chinrest when more chinrest height is needed. If the need for height is over 5mm, fractional chinrests can be raised and created as one piece chinrests. Also like the full sized line, the raised Fractional Chinrests can be half-centered. Please visit the Fractional Chinrest Gallery to see examples of these chinrests on players of all ages. There are also examples of jaw shapes and the chinrest styles that fit them.